As West as America gets. 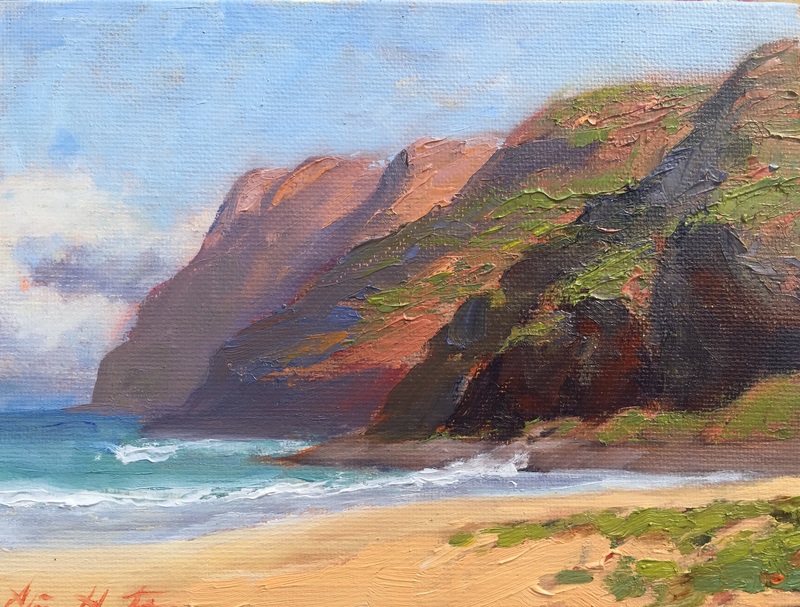 Painted at Polihale. The furthest West you can go in the United States.